Micro Needling or Collagen Induction Therapy as it’s also know by, dates back to the 1950s. Taking advantage of the skin’s ability to heal itself, micro needling causes micro-injuries to the epidermis which kick-starts your body into repair-mode, triggering the production of collagen and elastin. More collagen and elastin means smoother, more refined and firmer skin. This medical grade treatment will not only improve the skins appearance, but it also caters to a multitude of skin concerns and is safe for any skin type giving amazing anti-ageing benefits. The self-repairing property of the skin is a 100% natural form of skin renewal from the inside out. The Rejuvapen Micro Needling system, developed in the USA has several features and benefits over its competitors and can achieve superior results for clients with specific skin concerns. More advanced than traditional micro needling devices such as derma roller, Rejuvapen utilises 9 precisely spaced micro needles in a small cartridge to create invisible, vertical, micro-perforations into the epidermis and the top layer of the dermis. 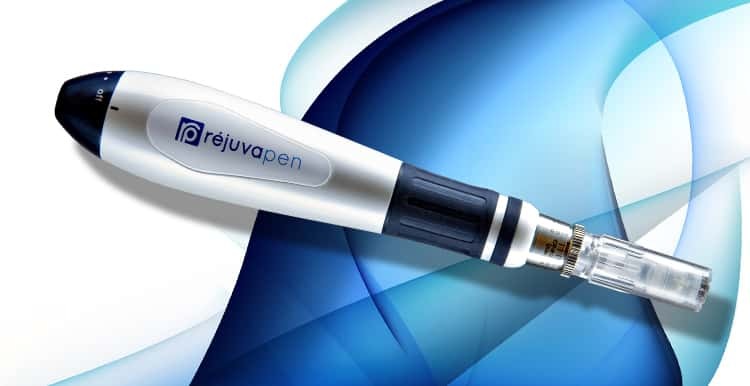 Unlike other Medical Micro Needling devices, Rejuvapen features a unique dial for precise penetration depth, important for treating different skin types and areas of the body. Another advantage of Rejuvapen compared to other treatments is that it not only activates cell regeneration, it also enhances the absorption of active ingredients of cosmeceutical products into the skin during the treatment before the skin closes. Your skin becomes firmer and regains its elasticity, fine lines and wrinkles are visibly reduced, pores become firmer, circulation is stimulated and the overall health of the skin improves. The treatment and contra-indications will be explained in full during the consultation. The whole procedure is normally completed within 60 minutes depending on the required treatment and anatomical site. Before the procedure commences a topical anaesthetic (in the form of a cream) is applied to your skin. This numbs your skin and ensures that you are comfortable during the treatment. After the skin is numbed, the Rejuvapen will be gently moved over your skin to puncture the epidermis layers of the skin and create minute “micro injuries”. These microscopic wounds close within 3-5 minutes which is enough to stimulate new collagen deposition which may last up to a year. You may experience slight discomfort, particularly around the more sensitive areas of your face such as the lips and around the eyes. There is very little down time following a Rejuvapen treatment, but this varies with each client. Expect your skin to look and feel red/mildly sunburnt for about 24 hours after the treatment. It will also start to flake after a day or two as the skin cells slough off. This is a normal reaction and do not exfoliate as this will only irritate the skin. You may also experience some skin tightness, dryness and mild sensitivity to touch on the areas that have been treated. Makeup can be worn after 24 hours; mineral makeup is recommended and if you use brushes to apply please ensure that these have been washed thoroughly before using on treated skin. Post treatment you must use a high factor sunscreen to protect your skin and any topical products specifically recommended during your consultation. After about a week you’ll see the new, brighter, smooth skin. 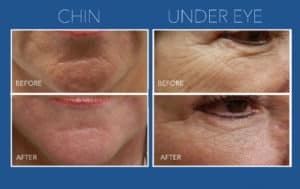 Please Note As this is an advanced medical micro needling treatment, a consultation is necessary before a Rejuvapen Treatment can be carried out. Consultation (30 mins) €30 – redeemable against your Rejuvapen Treatment. For other areas such as stretch marks and scars, treatment price depends on the size of the area to be treated. This will be determined during your initial consultation.